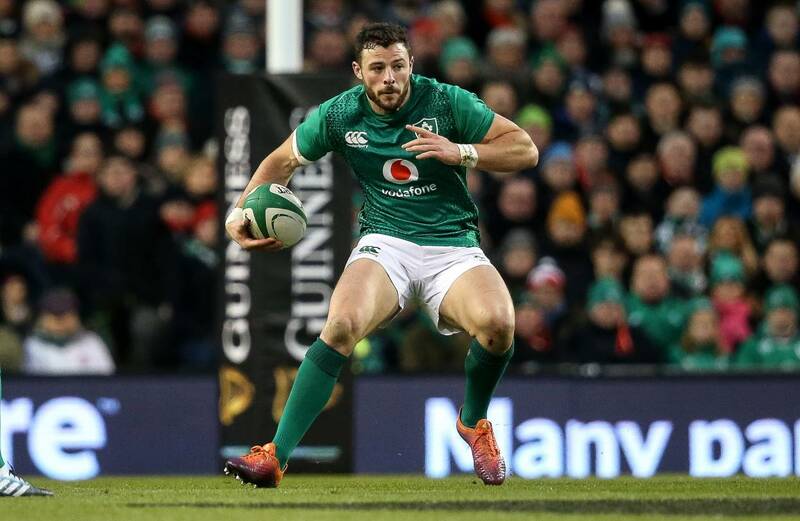 The IRFU are delighted to confirm that Robbie Henshaw has extended his IRFU contract which will see him play his rugby at Leinster up to at least the end of June 2022. Robbie made his international debut against the USA in the summer of 2013 and has gone on to win 37 Ireland caps to date. He started every match of the 2015 Six Nations Championship and played in the opening two games of the 2018 Grand Slam success before injury curtailed his involvement. He returned to the Irish midfield to start all three of the summer Tests against Australia. The Athlone native, who turns 26 in June, played his part in securing a first victory over the Springboks on South African soil in 2016 and scored the decisive final try in Ireland’s first ever win over New Zealand at Soldier Field. He represented Ireland at the 2015 Rugby World Cup, playing in the pool games against Italy and France and the quarter-final against Argentina, and toured with the 2017 British & Irish Lions, making four appearances in New Zealand. Robbie won a GUINNESS PRO12 title with Connacht in 2016 and, since his move to Leinster with whom he has played over 30 times, he has won European Champions Cup and GUINNESS PRO14 titles – both in 2018.